I am on bridesmaid duty for a number of upcoming Chicago weddings. You guys have such great taste and know the ins and outs of Chicago; would you be able to make some suggestions for unique places to do engagement photos and wedding day photos? I really like the trend of urban photos in front of brick walls/cool architecture, but I’d also love to hear if you know of any secret green spaces in the city. Hmmm – I would honestly depend on the photographers for this! I don’t think it is the job of a bridesmaid. We took photos at the Civic Opera House and loved it (this was where our first look was too). I also love along the river! You can see photos from our wedding here. I’m currently due with my first baby in February so I know that I need to get a winter coat to survive the Chicago winter and the commute to work. Any suggestions for cute winter coats (wool or puffer) that have a chance of being reworn when I’m not pregnant? Ugh unfortunately I never found a great winter coat while pregnant. I ended up wearing my pre-baby winter coats and barely buttoning one button. I think coats are the one tough buy when you’re pregnant and I would recommend lots of layers underneath. I did have a friend recommend this coat while I was pregnant! I never bought it but the insert is kind of genius – then it fits after baby! There are actually a ton of great styles here! I am 25 and the first of my friends are getting married Thanksgiving weekend. The Wedding attire is “Black Tie Optional” and I am struggling with what to wear. Should I be wearing a long-styled dress or can I wear a short dress? Any suggestions would be appreciated! I would wear a long dress given the season! BHLDN always has the most gorgeous dresses – especially love this, this and this (I wish I had a reason to wear this!!)! Can you recommend a few simple fall coats that can be worn over long cardigans? I am embarrassed to wear a moto jacket when the sweater dangles out below! The J.Crew Daphne Coat is a great length for cardigans and comes in so many gorgeous colors! I’m also obsessed with this plaid coat!! We’re pregnant with our second (waiting to find out gender) and the kids will be 20 months apart, so a little bit closer than your boys. Any tips to get through the first two months? Patience and low expectations! Honestly I kind of relished being a mom with baby #2. I enjoyed the newborn phase so much and was content just being at home with my kids. I think with Charlie I wished away the early days, dreaming of sleep and consistency and finding some sort of schedule. With Jack I truly enjoyed days of nothing at home with the kids. So my biggest advice is to just enjoy. This concept actually feels easier the second time around. Also, don’t feel guilty if your toddler watches more TV that normal. Survival mode! I’m obsessed with the Cuyana Classic Trench! The olive color is so gorgeous! I also love Everlane’s Drape Trench Coat – the navy is such a classic (great price, too!). I’m thinking of visiting Chicago for the first time with my husband in April for three nights and have no idea what area to stay in or which hotel. Any suggestions for either? In terms of the area, it’s our first visit so we will definitely want to check out some of the touristy sites. Hotel wise, we are looking for something in a mid-range price point. Check out my Chicago City Guide post for my favorite hotels and where to go, what to see and where to eat! Do you have an established play room or toys throughout the house? Would you ever put the boys in a shared room to have a separate playroom or do you think it’s fine to keep play area in their rooms (and will they fall asleep if you do? Ha!)? So we do have a finished basement with a ton of toys but because we hang out upstairs, Charlie and Jack prefer to hang with us! Because of this we have majority of their toys in our main family room just off the kitchen and I love it. The room is always a mess and full of love. Charlie’s room also has 2 baskets of toys and a huge bookshelf of books that he loves to read. However, he has definitely associated his bedroom as a place to sleep. It is rare that he plays up there by himself. Jack’s room has zero toys (I honestly still feel like Jack is 2 months old – I need to give him more toys, ha) but eventually we are going to have the boys share a room with bunk beds and probably lots of toys. Honestly, our house is a mess but we just try to enjoy it! We hang out in our family room together all day/night and then bedrooms are more associated with bedtime. I’ve been reading your blog for a while and if I remember correctly, you didn’t find out the gender when pregnant with Charlie but did with Jack. I’m curious if you thought the pregnancies felt different because you did (or didn’t) know the gender? Like did you feel more connected to Jack b/c you knew he was a boy? Or did you prefer not knowing to knowing? We didn’t find out the gender with our first and I’ve been wondering what we’ll do the second time around. We didn’t find out with Charlie and we found out on accident with Jack (we couldn’t unsee his little peep!). I LOVED the surprise but I will say that I don’t think it helped me prepare for what was to come. I never envisioned what I was having with Charlie so when he arrived I went into shock (lots of baby blues). With Jack we found out unintentionally during our 20 week ultrasound. Initially I was disappointed but I started to feel so excited for my babies to be brothers! It was comforting to know what was coming and Jack is such a beautiful blessing to our family. I don’t necessarily feel more connected, I think with #2 I’ve just generally enjoyed every phase so much more because I know that it goes quickly. If we have another one I think we will be surprised. I think doing the surprise with your first is so exciting but also nerve-racking because you don’t know what to expect! With every child that follows the surprise is exciting but you know what is to come so I think it makes it easier to accept the surprise? It probably varies with each person but this is how I felt! Any reccomendations for everyday black leggings that I can Mom around in? Not looking for thicker Zella type, just regular, affordable and mostly comfy! Ok if you’re willing to spend the money – Lululemon Align leggings are AMAZING. Seriously the most perfect fabric and so incredible comfortable. They also maintain their softness and look through many washes! I’ve bought them again and again and again. 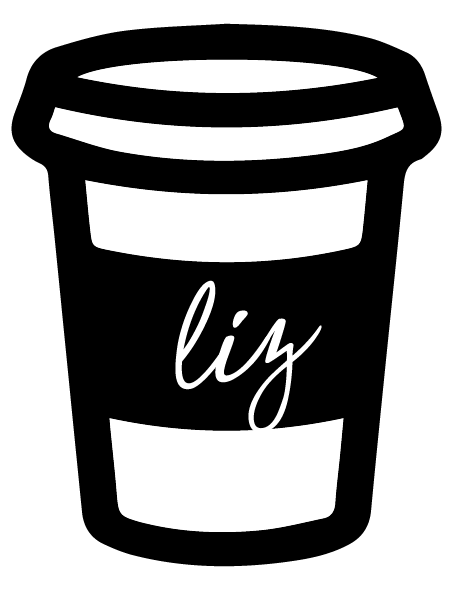 Submit your questions for next week by emailing [email protected]sequinsandstripes.com with the subject COFFEE WITH LIZ!